Ben Lenhardt retired in 2003 as chairman and CEO of Americas-UBS Asset Management and member of the UBS AG Group Managing Board. He has long been an avid gardener in both Charleston, South Carolina, and Winnetka, Illinois, participating in Garden Conservancy Open Days in both locations. His interest in garden preservation combines his keen interests in gardening and architecture, including historical preservation in Charleston, where he is on the board of Drayton Hall and the Easement Committee of Historic Charleston Foundation. In Chicago, he also serves on the boards of the Chicago Botanic Garden, Shedd Aquarium, and Notebart Nature Museum. He joined the board of directors of the Garden Conservancy in December 2004, becoming Vice-Chairman in 2007 and Chairman in 2011. 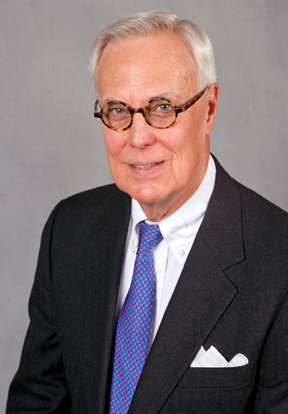 In September 2018, he stepped down as Chairman, as required by term limits, but continues serving on the board as Chairman Emeritus.